We also work with charities, academics and government to identify different aspects of suicide where statistics are needed to help focus prevention work. For example, we have provided analysis on suicide in higher education students and occupations with the highest risk of suicide. Additionally, part of prevention can involve understanding how people feel about their lives, where ONS insights through our work on aspects of wellbeing and understanding loneliness can be very valuable. Why is suicide data important? Suicide data is crucial for understanding and preventing suicide. Last week, the Office for National Statistics (ONS) published new annual data about suicide in the UK. This can help us understand who is at risk of taking their own lives. But behind every statistic, is an individual, a family, and a community devastated by their loss. Suicide data like that produced by ONS, allow us to understand the demographic profile of people who die by suicide, and where they are. And importantly, they allow us to target suicide prevention in the right places, at the right people. However, suicide data can be complex, which is perhaps reflective of the complexity of suicide itself. The reasons people take their own lives are varied and highly individual, often due to a number of interacting factors and experiences over time. Understanding the nuances of how suicides are recorded, and how data is produced is crucial to using it effectively. This video addresses some of these complexities, and what this means for the interpretation of suicide rates. What is currently happening across the UK? The latest data shows that there were 5,821 suicides registered in 2017 in the UK, and the number and rate has decreased for the third year in the row. The decrease has mainly occurred in men, and the picture is different for women with the number of suicides remaining stable. However, men still account for three quarters of all suicides. Also, rates are not uniformly decreasing for all groups of men; rates in some age groups are increasing, for example men aged 45-49. There are also important differences across the UK. The suicide rate has fallen between 2016 and 2017 in England and Scotland, whereas the suicide rate in Wales increased (Northern Ireland figures will be available later in the year). And looking at regions of England, the rate of suicide was highest in the North East and lowest in London. The fall in men suicide is extremely encouraging. 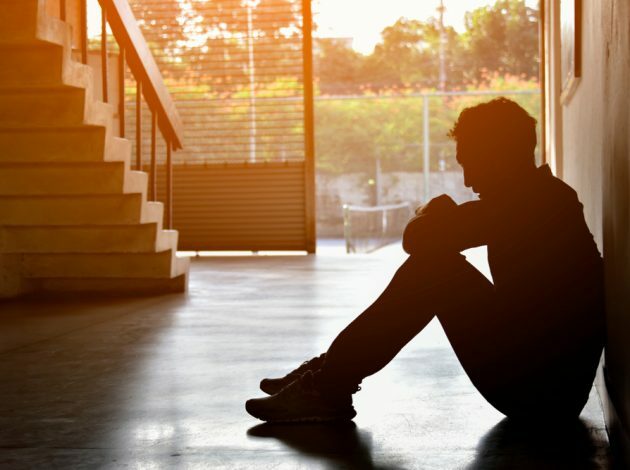 In recent years, there has been a conscious and sustained effort to prevent suicide in men and reduce stigma around seeking help. Of course, a reduction in rates cannot be attributed to any one thing, but the figures certainly suggest that something is working. Although, since men are still three times more likely to take their own lives than women, our work is certainly not done. We must continue to target suicide prevention interventions at men to bring the rates down even further. It is also crucial that we understand how suicide trends differ between groups (for example, between men and women, and different age groups) if we are to truly understand why people take their own lives and how we can prevent it. To better understand who is at risk, and why, we must look further than demographic and geographical data. It is imperative that suicide research continues to generate insightful evidence about the risk factors for different groups of people. We must explore the reasons for increasing suicide rates, as well as what is effective in reducing rates in order to tailor interventions and support to those who need it. In recent years there has been great progress in producing annual suicide data quicker. Although, for more effective suicide prevention, it is necessary to strive for more real-time data so that we are able to respond to emerging trends in a more timely manner.